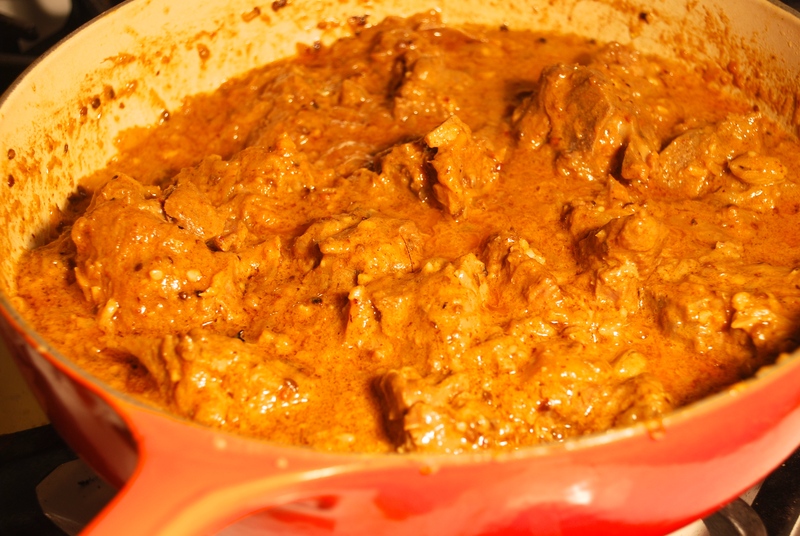 One of the best lamb curry’s ever. Alright, so I have this amazing Indian cookbook, which I absolutely love. I bought it soon after I got married mainly because my mum had it as I was growing up, and her best friend Geeta aunty, who is makes the most amazing food, used to cook from it too. So I had sampled quite a fair few good things from it, and heard enough about how this was one of their favourite Indian cook books on the market…Well this sunday I was indulging in my favorite pass time of going through my cookbooks, trying to figure out a new way of cooking lamb when I stumble across this little beauty… called Meat Belli Ram. 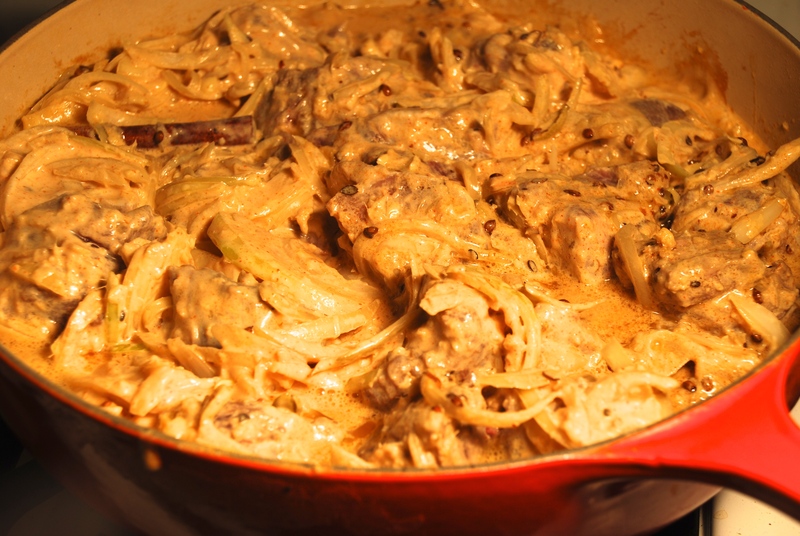 When I first read the recipe, it just sounded all wrong to me… just marinate the meat in a bunch of yoghurt, onions, ginger, garlic and then bam throw it in some hot oil with coriander seeds, and let it cook away stirring every so often? No bhunoing the masala? what? how could this work?? wtf?? was there some printing mistake…I wondered. Anyway having read the introduction to the recipe I was pretty curious, cause this recipe was an attempt by the authors to reproduce his signature recipe and pay tribute to the great and amazing “king of Punjabi cooking” a chef in Lahore called Belli Ram (before the partition of India), this was true Punjabi cooking from a master…so obviously, I had to investigate further. 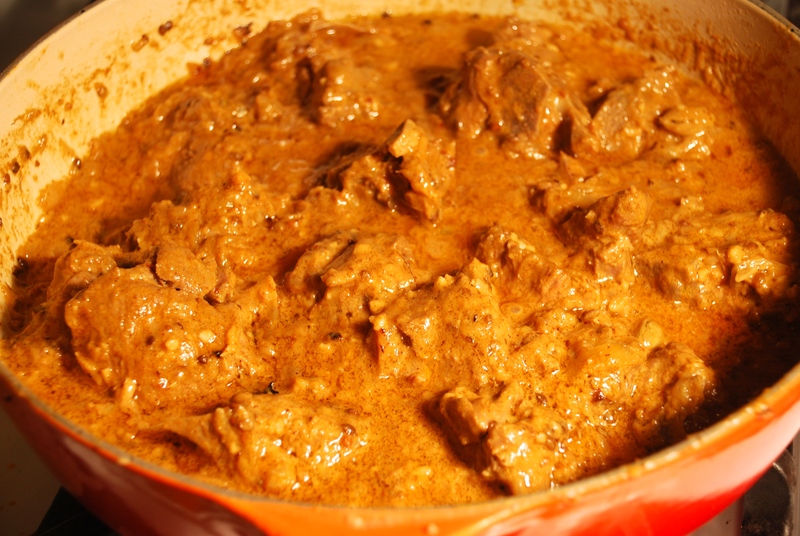 I discovered that this recipe is a true gem, “best lamb curry you have ever made” said my husband, and I have a few I make which hit the spot. 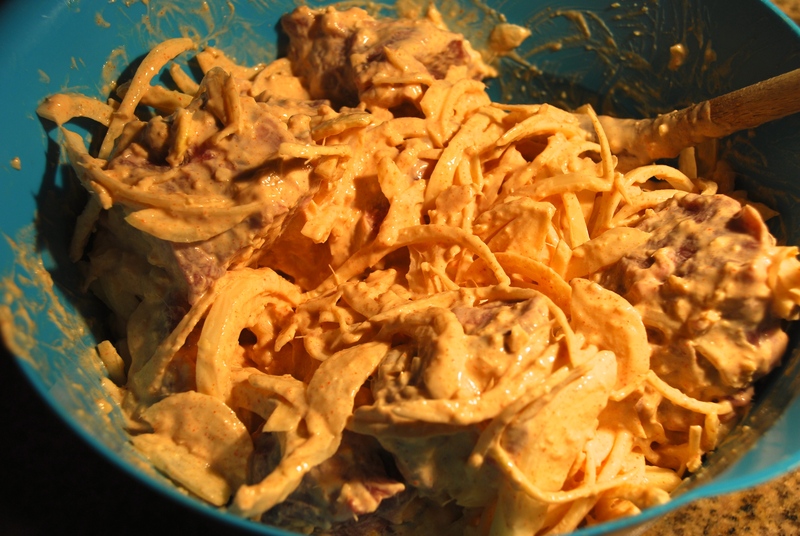 This dish is just so simple and so good, that it blew my mind…So, so happy I tried it. I made some tandoori roti’s to go with it and it was absolutely perfect. 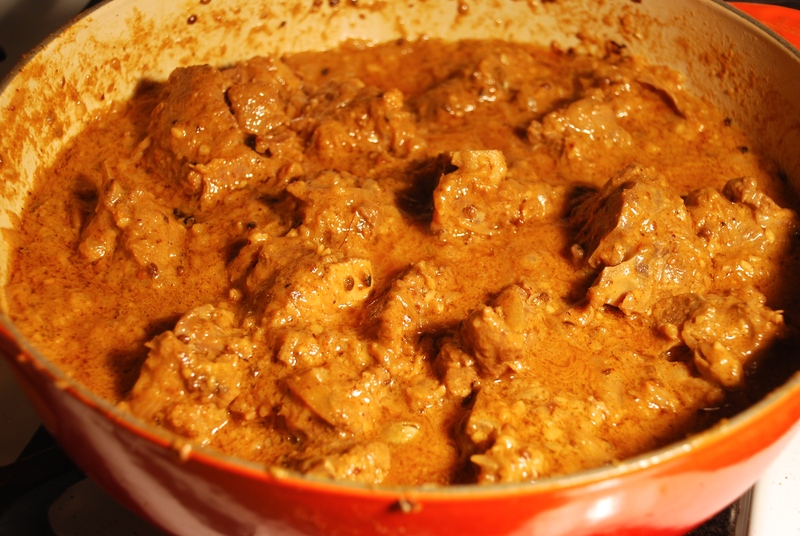 Long live the name of Belli Ram through his amazing recipe! For those wondering about the name of this amazing book, it is called “Prashad, Cooking with Indian Masters”. The recipes are really authentic and I swear by them. It is not your fancy looking book with a ton of gorgeous pictures, but the recipes are very precise and really deliver. Place yoghurt in a really large mixing bowl. Whisk. 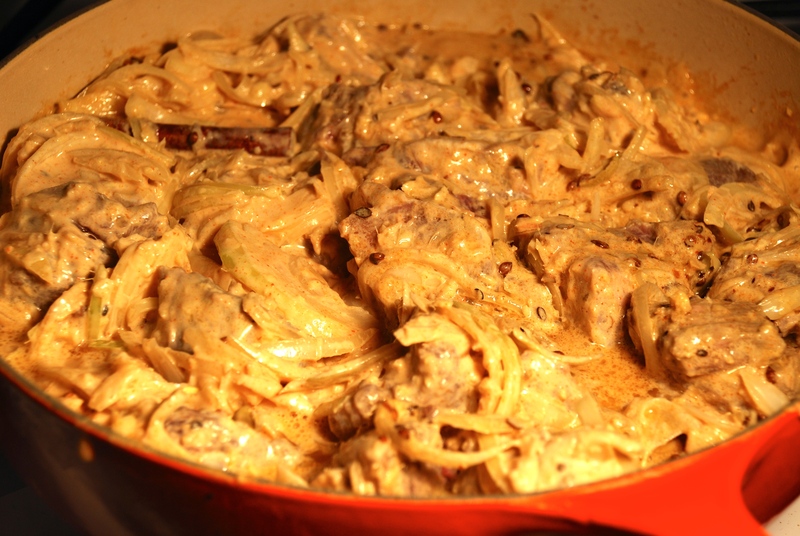 Add all the other ingredients except coriander seeds and oil, with yoghurt and leave the lamb chunks in this marinade for one hour and forty-five minutes. 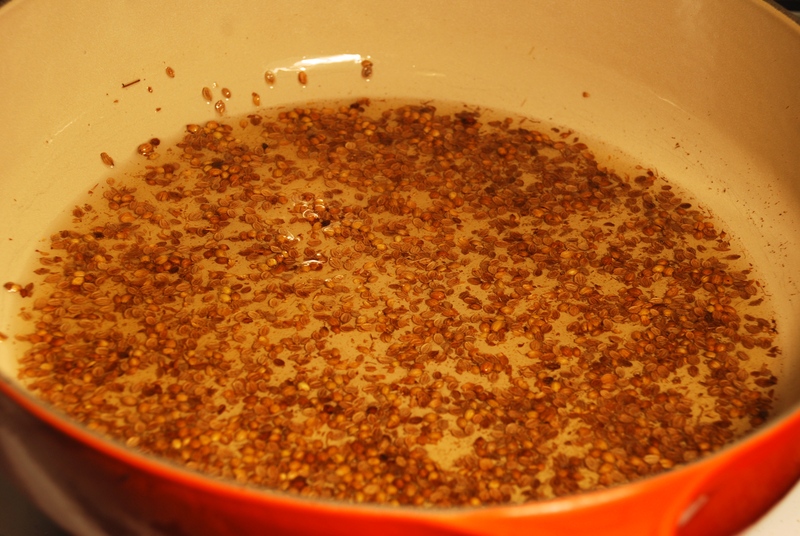 Heat ghee in a heavy based pot, add the coriander seeds and sauté over medium heat until they begin to crackle (be careful do not let them go too dark in color and burn). 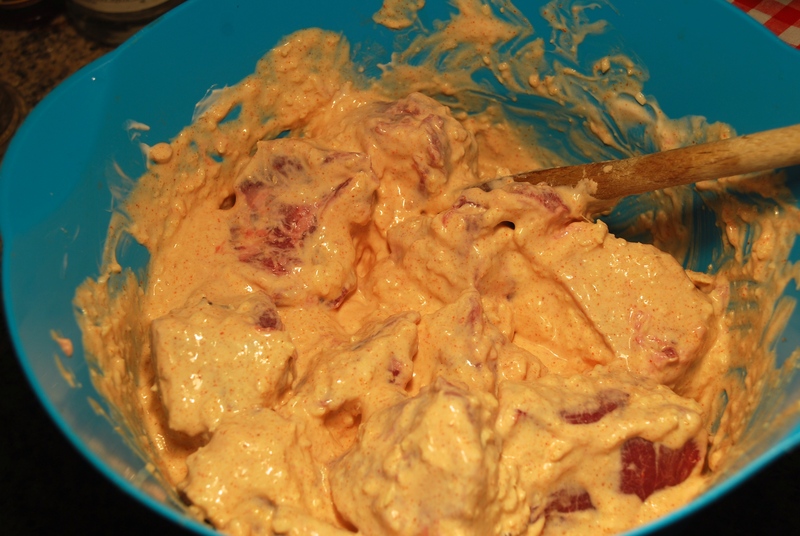 Transfer the lamb, along with the marinade into the hot oil. 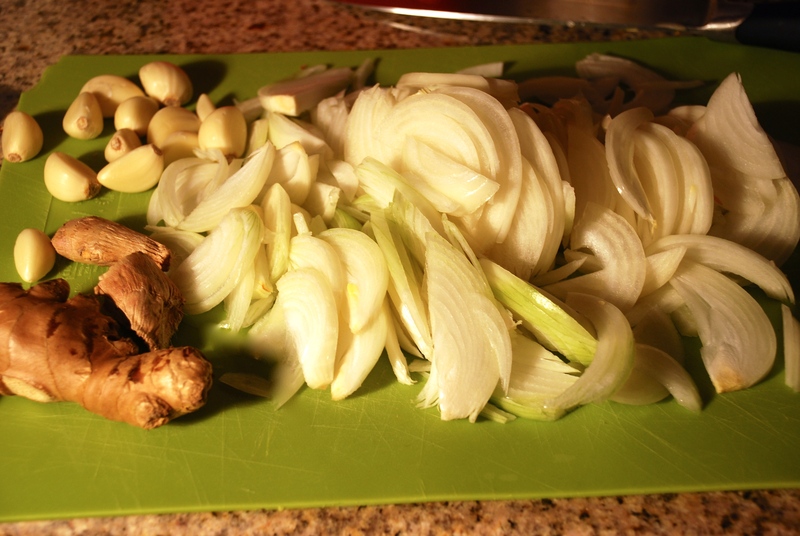 Bring to a boil, string constantly, then cover and simmer, stirring at regular intervals, until the meat is tender. 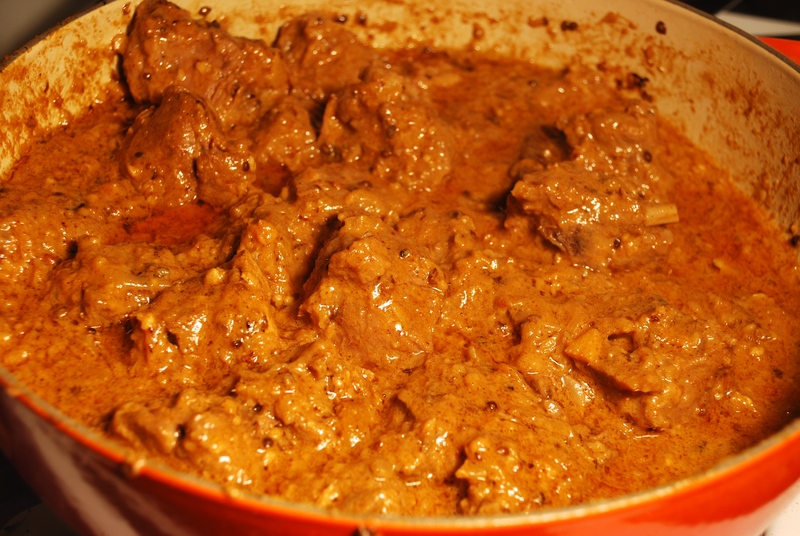 Uncover increase to medium heat and bhunno until the fat leaves the masala. Adjust the seasoning. (note: I did not uncover, just kept string every 10-15 minutes or so on med-low heat and found by the end of an hour and a half, the fat had left the masala on its own.) Taste, and adjust the seasoning. Spoon off the excess fat and serve with tandoori roti.